Initially, he referred to Ichigo as "trash" and considered him unworthy of being killed, mostly because he believed that his unstable spiritual pressure would eventually destroy him in the long run. The first time they fought in Hueco Mundo, Ulquiorra was able to provoke and in turn, defeat him at full power without even unsheathing his blade; he also impaled Ichigo's chest with his hand, leaving a hole resembling his own Hollow hole. Grimmjow stated he only does this to prey he finds particularly interesting. In their second fight, Ulquiorra acknowledged Ichigo as an opponent worthy of killing, finally unsheathing his blade. Later, when Yammy interrupts their fight, Ulquiorra repeatedly reminds Ichigo that if he wants to fight anybody else, he would have to kill him first. Presumably, Ulquiorra's ulterior motive was to draw out Ichigo's full potential, but this seems to have backfired on him. He was placed in charge of abducting Orihime, and subsequently, taking care of her well-being until she was needed by Aizen for her powers. His relationship with her appears to be limited to the task of bringing her food and occasionally informing her of her friends' struggles throughout Las Noches. He refers to Orihime as "woman" (onna; "girl" in the English Dub), both in thought and conversation. It can be noted that Ulquiorra seems rather intrigued by the concept of the 'human heart', questioning her about how she is so easily able to wear her emotions on her sleeve. 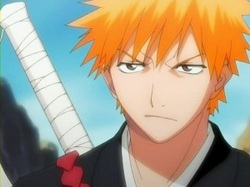 During their most recent fight, Ichigo mentions Ulquiorra may have "become more human". 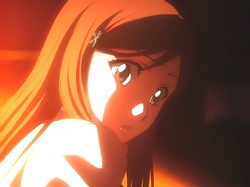 This could signify Orihime's empathic personality affecting Ulquiorra's own emotional capacity. This is further highlighted when, at the brink of death, he reaches out to Orihime and asks her if she's afraid of him. She responds in the negative, and reaches out to touch his hand just before he disintegrates into dust. Through his bond with Orihime, Ulquiorra finally realizes what a heart is; even refuse his earlier materialistic arguments by remarking that he has it in his hand. 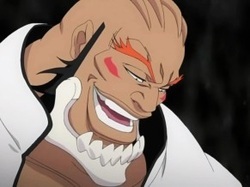 He treats Yammy as an inferior and seems to have the weaker Espada's respect. Because of this, their relationship seems to resemble that of an Espada and his Fracción. This is evident throughout their various conversations, which often consist of Ulquiorra ridiculing Yammy. At one point, Ulquiorra even resorted to using violence to get Yammy's attention. During Ulquiorra's second fight with Ichigo, Yammy attempts to help him, although Ulquiorra coldly refuses. He is stunned and disappointed when Ulquiorra dies, though more from surprise that he was beaten and annoyance that he didn't get to help in the fight rather than concern. Ironically, Yammy later tells Ichigo that Ulquiorra, along with the other Espada Ichigo had fought, were "trash" compared to his own released form. 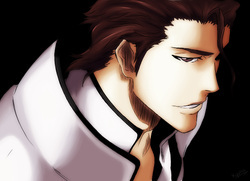 He is quite loyal and obedient to Aizen, fulfilling all of his orders without question. However, it can be noted that he has occasionally been seen disobeying Aizen's orders in favor of his own, personal curiosities, such as when he purposely sought out Orihime Inoue to question her about human emotions. It would appear that he is not on good terms with Grimmjow, having challenged Grimmjow's ideals several times. Ulquiorra makes small observations to insult Grimmjow some of which fly past Grimmjow. 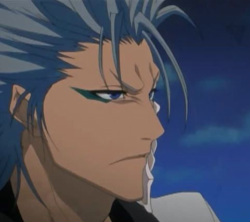 Grimmjow believes that he is stronger than Ulquiorra and is eager to prove this. He and Grimmjow have conflicting personalities, the probable cause of their bad relationship.